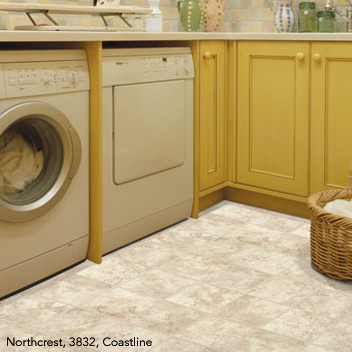 Description: Northcrest evokes images of sand swept, sun kissed beaches. Like a coastline peeking through clouds, Northcrest’s color and texture offer a subtle interplay of balance and juxtaposition. A realistic stone look, visually enhanced by a 9” checkerboard layout, Northcrest readily brings nature’s ever-changing beauty into the home.